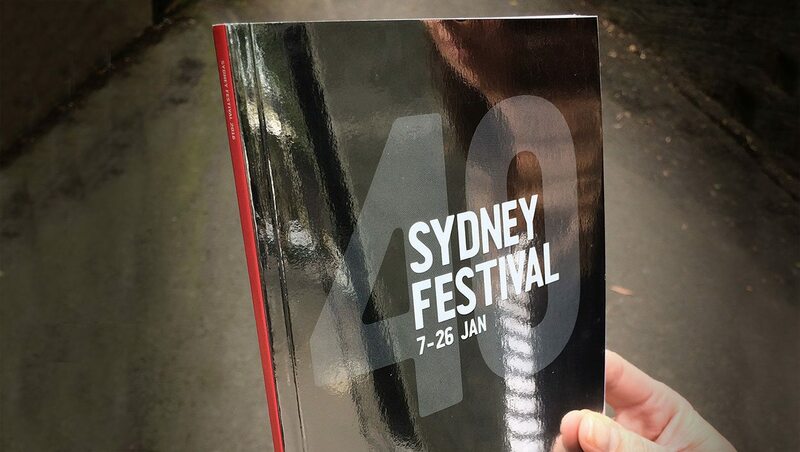 Sydney Festival celebrate 40 formidable years in 2016. Alphabet were charged with the task of badging this Festival as a stand out – highlighting and consolidating an event which continues to bring the best of the worlds stage to Sydney every January. Fundamental to Alphabets brief was to emphasise Sydney Festival as the “peoples’ Festival”. It is the audiences who have been celebrating, indulging, interacting, applauding, dancing, reviewing, digesting and singing along to 40 years worth of Festival offerings. Working closely with the printer Offset Alpine and SpecialT Print, Alphabet’s aim was to capture the audience in the core marketing piece – the brochure. Utilising a reflective finish, a unique print solution has been produced to communicate a sense of occasion (turning forty) and mirroring the key players (the audience) in the cover of the brochure. Turning forty is significant for any organisation, remaining relevant and aspirational is challenging and essential to survival. The past three years have seen a rigorous commitment to a visual communications strategy which defines and reiterates the brand. Alphabet have interwoven and evolved spirited word play combined with a bold graphic language to reinforce Sydney Festival’s position as a presenter of diverse, eclectic and multifaceted works. The Festival message is communicated boldly, clearly and confidently. This is Our City in Summer – Sydney Festival, forty years strong.